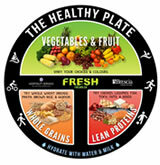 It has never been so clear as it is today, how paramount healthy eating is to good health. And, since many studies are showing that eating habits adopted at a young age, are often retained throughout adulthood, we put great importance in providing students with a wide variety of healthy, tasty options. Western is proud to operate its own residence food service unit within Hospitality Services. Students living in residence have a vast variety of foods available to them. The menu operates on a six-week cycle providing varied culinary options. Students can experience the flavours and cuisine of Asia, European and North America, as well as different cooking techniques. This all serves to create a wide selection of dishes. Lunch and dinner feature an average of six hot entrees including vegetarian, vegan, gluten free and "FRESH APPROVED" healthier options. In addition, students can make daily selections from a soup/chili, deli, yogurt/parfait or fruit/salad bar. Interactive cooking and a carvery station are also featured during several dinners throughout the week. Grab-and-go fridges, offer yet another option for those students on the run. Living in residence and having a meal plan can mean you have a lot of food options. Consider this an opportunity to try new foods that you are not used to eating at home and consider following the guidelines of the FRESH Healthy Plate; make half your plate Vegetables and Fruit, ¼ Lean Protein and ¼ Whole Grains. Celebrate the beautiful things wholesome foods have to offer!